It's that time again, our Autumn Home Edit Event starts soon with 4 brand new looks to inspire that next interior update - head over to (https://www.arighibianchi.co.uk/promotions/autumn) see the latest looks. 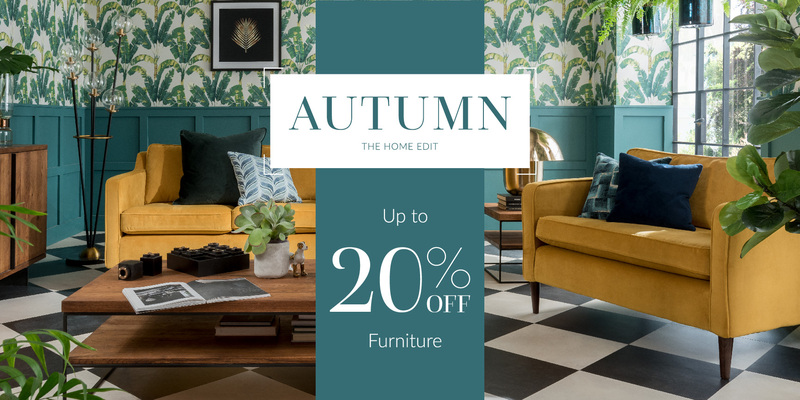 From Thursday 27th September get up to 20% OFF furniture online and in-store. Plus for our launch weekend only, get up to an extra 10% OFF on top of event prices! Just use the code AUTUMN at checkout for extra savings. Welcome to our Autumn Home Edit, with all the inspiration and ideas you need to give your home a brand new look this season! T&C's: Extra discounts are only valid during the launch weekend 27/09/2018 to 30/09/2018. This includes an extra 10% off individual pieces of furniture and an extra 5% off bundle offers. All offers are subject to status and cannot be used in conjunction with any offers, such as clearance products. T&C's: Discounts run from 27/09/2018 and ends midnight 18/11/2018. Valid online and in-store.